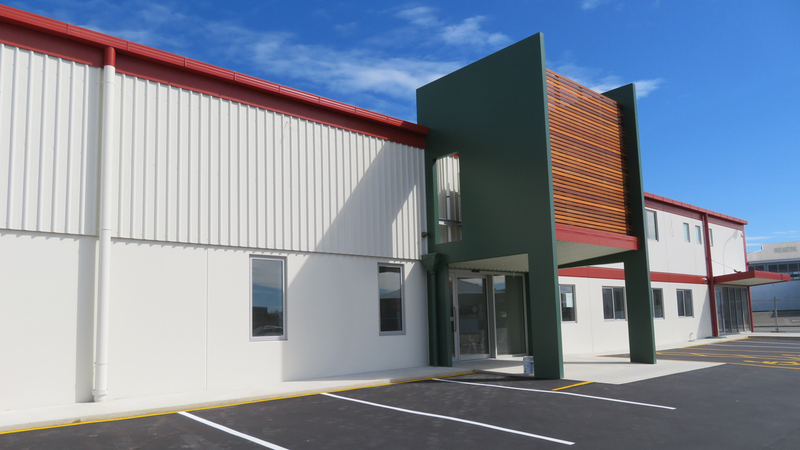 On the busy corner of North Street and Victoria Street - Timaru, stands the new Farmland’s building. Housing both their real estate and farm supply business arms together under the one roof. 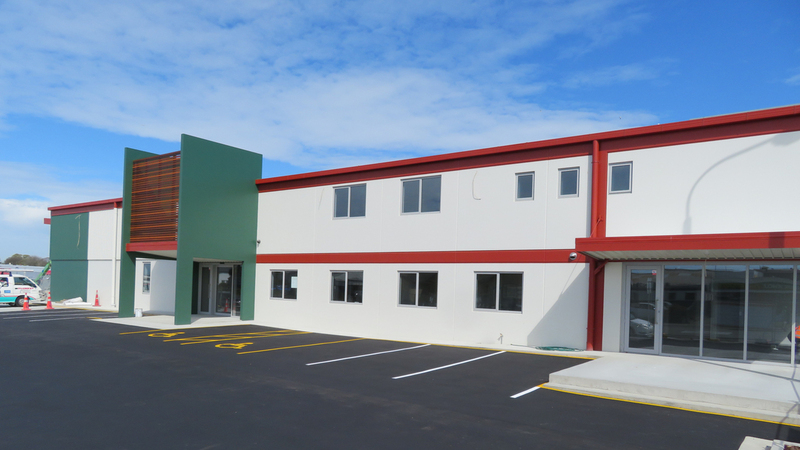 The building stands proudly in Farmland’s corporate colours and features a corner shop glass window for showcasing properties for sale. The building features an overall floor area of 960m² split into several operational areas. 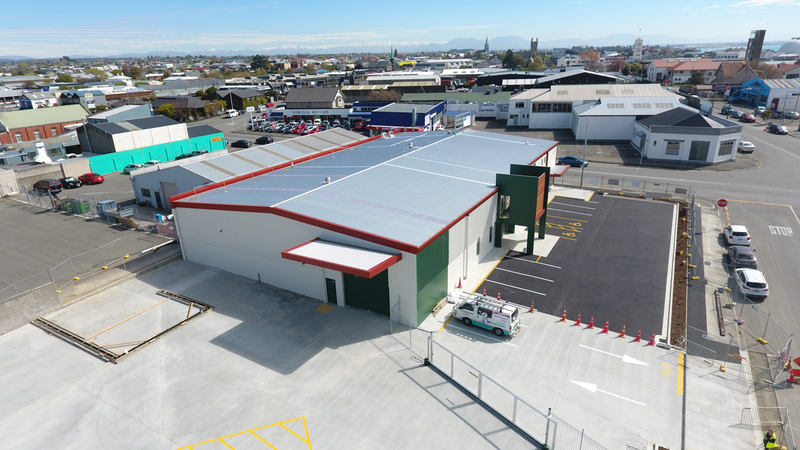 There is a 400m² shop display area to showcase farm products; a 280m² area dedicated to warehouse storage ensuring they have plenty of goods in stock. 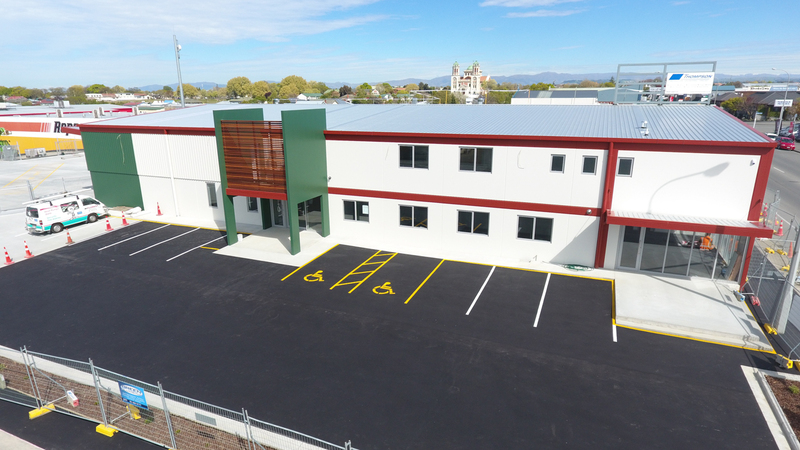 The ground floor contains a 280m² area of office space. Upstairs there are employee facilities and an additional 200m² of office space covering current and future needs. Within the retail area, the internal walls are lined with tongue and groove ply to suit the rural theme and has a featured red band to reinforce the company’s branding. The mid-floor between the office layers is constructed with Cross Laminated Timber (CLT). Fabricated in large sheets, CLT helps to speed the construction timeline by being produced off site. The sustainable timber floor is a light weight mid-floor solution that provides thermal insulation, internal moisture management, acoustic insulation and fire resistance. Taking full advantage of the Thompson vertical integration abilities, the client engaged the team to produce a full set of plans, to manage the building consent process, alongside prefabrication of the building components, including the steel fabrication and precast concrete creating efficient on-site construction. Working alongside our civil sub-contractor Rooney Earthmoving, Thompson also managed the 3000m² yard works for the building platform. This featured yard concrete, site fencing and customer parking area with landscaping features creates a welcoming customer focused space. From design through to fit-out and final completion, Thompson has provided a complete package for both the client and tenant.